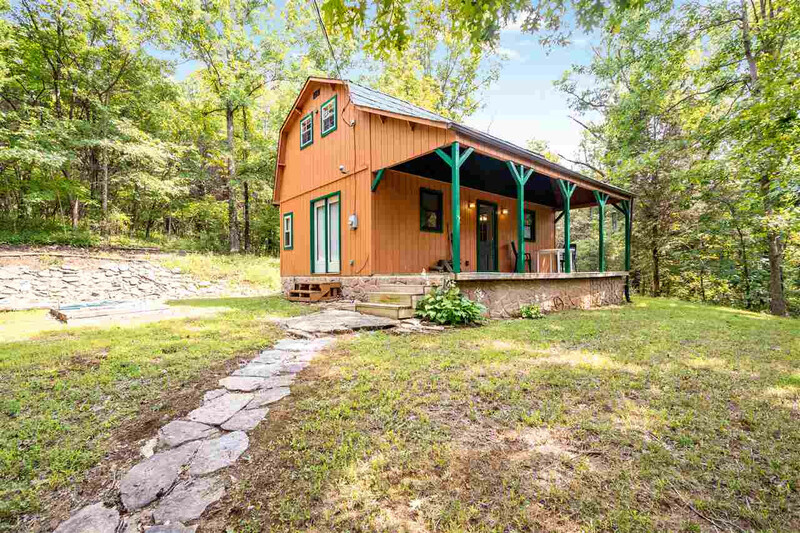 Your weekend cabin away from it all! Amish built cabin will full front porch. 3 walk-outs. Full Bath, Laundry Area, 2nd floor Loft style Bedroom. All on 42+ beautiful acres of trails and nature at it's finest. Creek access. All utilities. City Water/Septic, Heat and A/C. Very unique, well loved property. Cabin in excellent condition. You won't want to leave here!